Attention Obama holdovers currently working to undermine President Trump’s foreign policy: your days in the White House are reportedly numbered. Sources told Foreign Policy that Bolton’s planned purge will start with Obama administration holdovers and eventually broaden to include leakers and those disloyal to the president. “Bolton can and will clean house,” a former White House official told Foreign Policy. As The Gateway Pundit‘s Jim Hoft reported, President Trump announced Thursday that former U.S. Ambassador to the United Nations, John Bolton will replace H.R. McMaster as National Security Advisor next month. 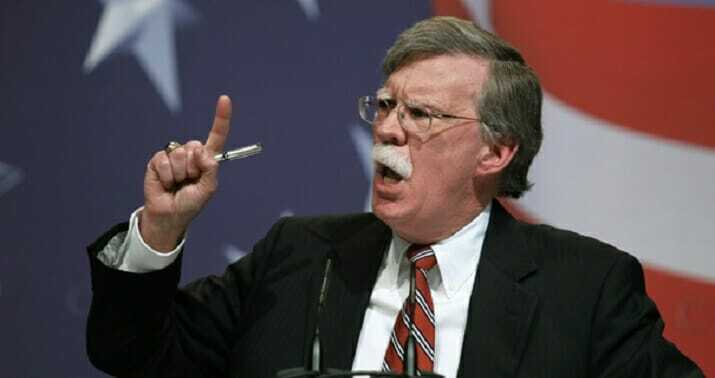 “I am pleased to announce that, effective 4/9/18, @AmbJohnBolton will be my new National Security Advisor. I am very thankful for the service of General H.R. McMaster who has done an outstanding job & will always remain my friend. There will be an official contact handover on 4/9,” Trump tweeted.